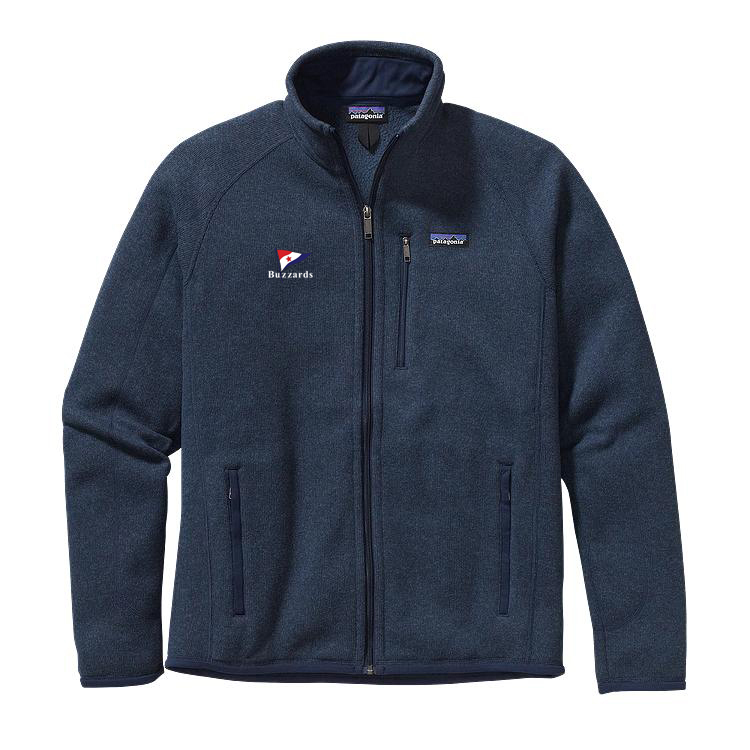 Patagonia created this versatile fleece jacket for just those mornings when you need an extra layer. It’s made of polyester fleece with a sweater-knit face and a fleece interior for warmth, cozy zippered pockets to keep your fingers toasty, a stand-up collar with a zipper garage so your neck stays comfortable and soft microfleece trim at the collar, cuffs and hem. This jacket has the Buzzards Yacht Club logo embroidered on the right chest.